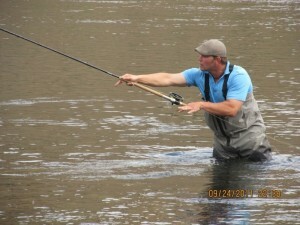 old picture I know, but the rod was a 110 years old when I was fishing it in this picture!!! Smiles not dollar signs. I was not on the forefront of any movement in this sport. Nor do I claim to have invented anything in this wonderful microcosm in which in have invested my life. Then, I feel it has been a long time since something truly new, and fresh has come along in the game of advancement in equipment or technique. To be honest, things in the R&D deparment of our industry have been in a state of arrested development for a while now. All and all this wound not seem to bother me as much as it has in the past few years, but looking at the new ideas of “high end” industry standards one cant help but wonder. There are tons of choices out there be sure and cast them all educate yourself on what you want/need instead of just throwing money at it. Now I have also caught fish of numerous species on all types of quality and price range dispersion of fly rods and reels. I have even had some real sweetheart setups over the years, that I still find pleasing to fish today. 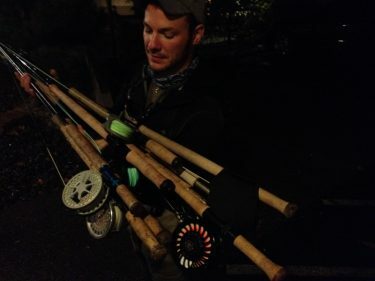 When confronted with the modern forms of marketing, one almost feels that the days spent on the water were worthless and the fish taken with at times great personal sacrifice were a farce, because you did not have the latest and greatest rod on the market. I can honestly say that no rod or reel has ever set an alarm for me, nor has one helped me hike or get to where I need to fish. Fishing should be out of passion and enjoyment. 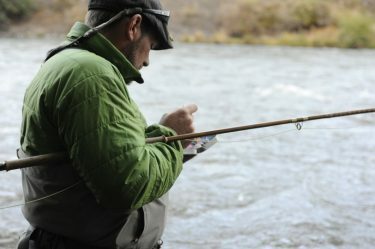 Fly fishing should stem from the heart, not the pocket book. I feel the equipment you own should not reflect how much you love the sport on price but on how dirty the cork is, how worn the ferrules. We now are consumers in a time in fly fishing history where boutique rods are being out priced by standard out of the box high end models from the large corporate companies. Now I am not saying don’t buy nice stuff or that the high end stuff is not good or nice… i am saying that the new rods I have cast both on the market and to come in the near future, are still just like to one you own. I am saying a fancy new color, or name that is tough to pronounce is not worth over a grand. These types of things push people away from our wonderful sport. I want to get more people involved not scared. 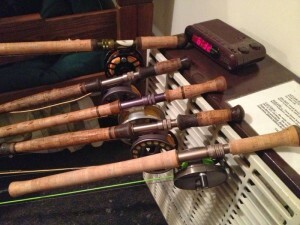 I want to own a fly rod not mortgage my house. This might be a few to many for a day trip!!! All this has been my 2 cents, but I hope other start to see it too. If you new rod is that good, that much better then what we have had show us. When the next big this comes we will all be ready. All I am saying. Hope you all are getting out and fishing somewhere for something!!!! Enjoy. 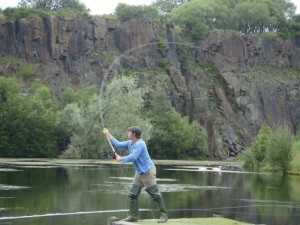 A well loaded rod is achieved through the use of both the top and bottom hand in a well executed two handed cast! Frozen, snowed in and off my first Trade show of the season in Boise. I settle back into the chair in front of my computer, getting ready to talk more about the wonderful journey of Spey casting. So much is in a name, as from the words of Shakespeare, “A rose by any other name would smell just as sweet”. I agree with the smell, but the mind’s image is what would change with a different name. 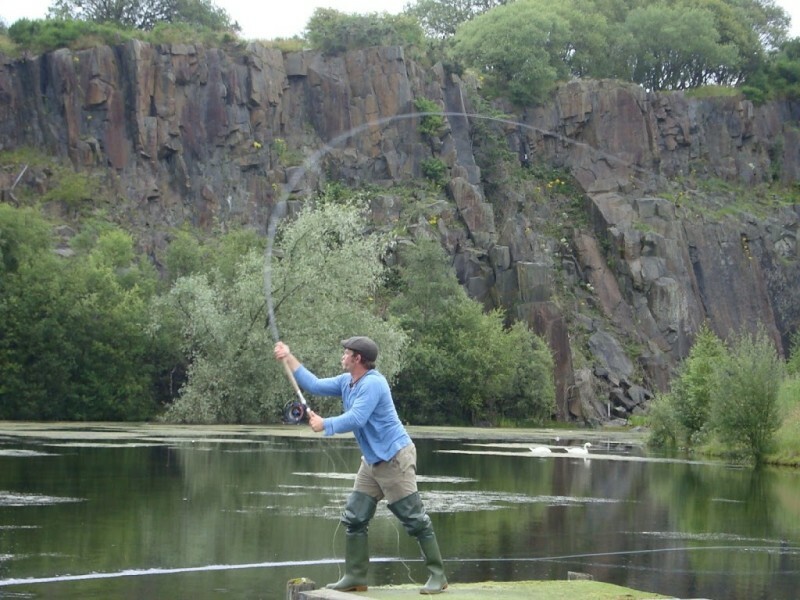 Here in the big egocentric US of A. we call casting that uses two hands Spey casting, even if it is with a single handed or switch rod. 95% of the rest of the world gives this motion the name double handed casting. 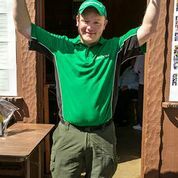 Double handed casting, Two handed casting, and Spey casting…Some of these names help to give a clue the need number of hands/arms it takes to produce a…Spey cast. The stopping of the rod in the forward stroke being demonstrated nicely here is what transfers the power used to make the cast into the speed and propulsion of the line. He in the PNW and almost everywhere in our wonderful country I have heard the same nomenclature for the descriptions of the power produced by the “bottom hand of the cast”. I have listen to this and even bought into this for a while…until I really looked at the forces needed to produce a double handed cast. What came to light was that, no matter the length of rod or line system put on the rods, I still need the help of both hands to produce the EASIEST most REPEATABLE cast I could. In fact part of my two handed casting presentation deal with the fact that the decent cast can be made with only a hand on the top grip, and were again produced by placing both and on the bottom grip. This showed me that either hand can be used to make two handed cast but when both hands had a fluid cohesion, the rod followed a better path and was easier to move and stop the rod in the appropriate positions, and was easier to make changes to the cast without over working both mentally and physically to try these new ideas out. A good example of the hand position at the completion of a two handed cast when a good stop is made. The top hand would not be that far out if the bottom hand had not come in and vica versa. Now I am not saying the the bottom hand is not needed, or the top hand is the answer to all problem that deal with the forward stroke or key position of the cast. I am saying that either hand can produce good cast but both need to work together to make it better for the caster. I have notice that the stop needed in the forward stroke of the double handed cast, has more bearing on loop shape and power transfer from the D-loop into the forward stroke. The casts made with just the top hand were possible because the stopping of the rod made the power applied in the forward cast applicable to make the cast successful, same phenomenon happened with just the use of the bottom hand. Stopping the rod…Just like a single handed cast made the cast possible. When both hands we used to make the cast and stop, less physical energy was need and a better feel was received back from the rod at the completion for the cast. Similar to those felt went hitting a baseball or golf ball solid, the feedback was instant and rewarding. This man uses both hands in his casts!!! 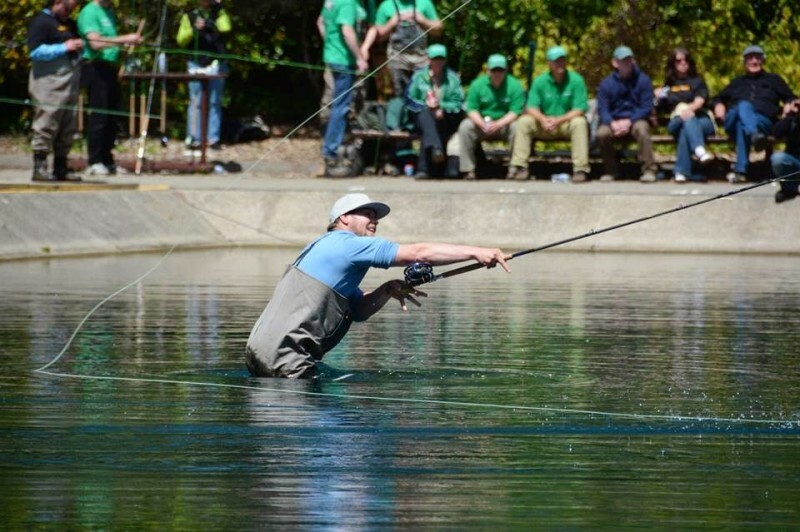 Mastering this has help make Gerard Downey the finest double handed caster to even walk on the planet. 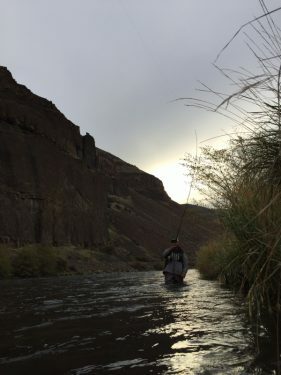 Now I know about a million other things can go wrong during the cast, but I believe if you go out and just concentrate on making a clean stop in the forward stroke and worry less about what hand you used during the cast, you made find it becomes easier. Even a little easier is an improvement in my book. Lastly remember that the stop of the forward cast should as in single handed casting happen at 10 or 2 based on side of the river you are on. Don’t be afraid to get back to me with questions or experiences with your casting!!! Thanks and enjoy. The long but anticipated connection. Steelhead, oh Steelhead….What a crazy fish. Might drive a person crazy, I know I already am. 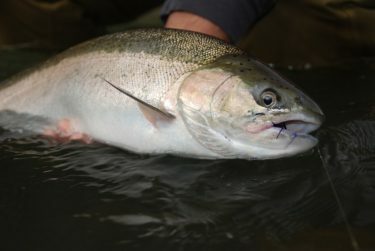 For the past two years thing is the Steelhead world have been a bit tough. Sometimes it has seemed luck was the only real way to find any success. Of course having fewer fish does not help, but there is more to it then that. The pursuit of a completely reactionary anadromas rainbow trout, who is turn off and or put down by any and seemingly everything. 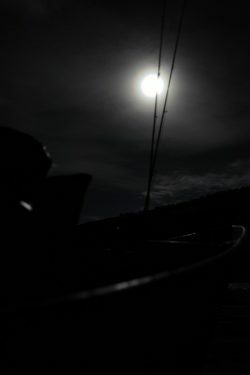 The water is too hot, the water is too cold, the sun is in there eyes, the water is off color, the water is too clear, the barometer is changing, full moon phase is in effect, too much angling pressure, you pick the one or common ones you hear or have used. To think any of us are deserving might be another pipe dream. Even hatchery fish have their days where the stars align. On the list of fish species that are difficult to catch on a fly, steelhead might not make the top ten. I would wager that Permit would be the top of most lists. Permit are even more crazy is that those fish are actually actively feeding. 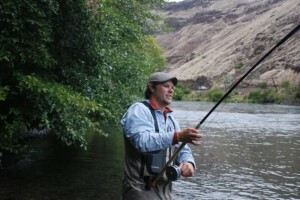 Now for the reality of the Steelhead picture to take hold, Steelhead are not really returning to the rivers to feed. The animal may not even have a clue other than hormonally or chemically they feel the call of ancestral past to push them to swim up river. Now from the anglers view, The Steelhead needs to be in the taking mood the day I am going to be there, and be in the runs I fish, and find my fly and eat it because I drove here. Not be mean or break some peoples pride, but it seems like to fish are responsible for doing a lot of the needed work. As a guide my job is to facilitate the amount of variables and help to connect the angler to the fish, again I rely on the Steelheads reactive presents. 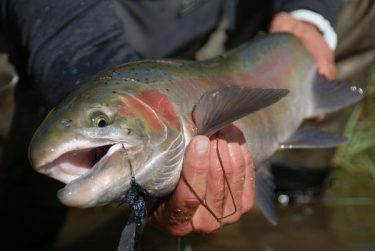 One of my favorite so called reasons for Steelhead not to eat flies. So with all this positive information I am writing down I have more to say. The only reason some of us know the past couple years have been off is because we have seen and fished in good years. We learn good from bad based on experience and after a couple days with the wonderful Peter Hayes. A fellow guide and great caster who told asked me if I knew what an experience was? Telling him maybe not his definition, he then told me “An experience is what you get when you don’t get what you want”. 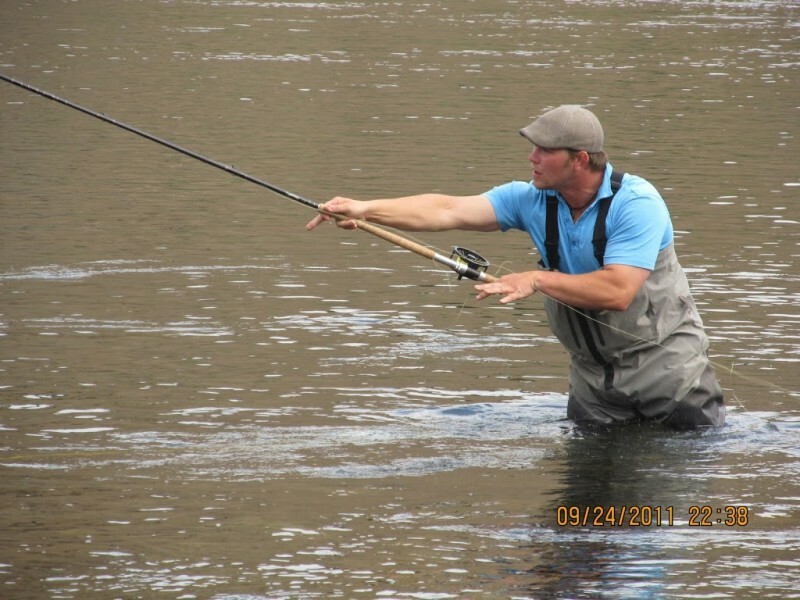 After Steelhead fishing for the better part of my lifetime, I can tell you I have had a lot of experience. 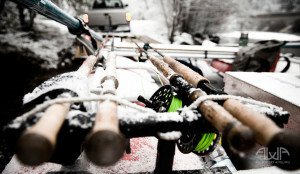 A Steelhead hardened angler chooses a new from of ammunition. Better years will come and great days to follow, but remember your only in control of a couple of things and the Steelhead no matter how many or few might take control of their end of the bargain some day. Until then we are left with days of 1’s and 0’s the binary language of these amazing and highly addictive fish. As crazy as these creatures can drive us, their beauty and mystery will always bring us back for more.